Andrew Hetzel is a coffee value chain and market expert with eighteen years’ experience. He has advised public and private sector coffee industry stakeholders in more than fifty countries to increase the value of trade through improvements in policy, capacity, and market access. Much of his work focuses on sustainable improvements benefiting smallholder farmers. Mr. Hetzel has managed or held senior roles in coffee value chain projects in Asia and Pacific (India, Myanmar, Papua New Guinea, Timor-Leste), East Africa (Ethiopia, Tanzania, Uganda), South America (Brazil, Ecuador), and the Arabian Peninsula (Saudi Arabia, Yemen). As a consultant to private businesses, he has provided quality training and business consultancy services for coffee importing/trading and roasting companies worldwide. Mr. Hetzel is a member of the Board of Directors of the Specialty Coffee Association (SCA), the world’s largest coffee trade association. He is the board liaison and Chairman of the SCA Education Advisory Council responsible for SCA’s Coffee Skills Program. From 2012-2016, he was an instructor for the Coffee Quality Institute’s Q Arabica and Robusta (Q Grader) coffee evaluation certificate courses. From 2008-2013, he was a board director of the World Coffee Events, responsible for the World Barista Championship competition. As a visible specialty coffee industry spokesperson, he has been quoted by trade publications and consumer media outlets on coffee-related issues, including: the Associated Press, CNN, MSNBC, New York Times, Reuters, Time Magazine, and Wall Street Journal. We bring in talented coffee consultant friends to work on projects that need specialists in the areas of engineering, coffee science, agronomy, processing, roasting and finance. Sara of Vuna Origin Consulting has a MA in Peacekeeping Management from the University of Turin, Italy, and BA in Philosophy and Politics from Warwick University in the U.K. She is an established coffee procurement and export professional with extensive experience with sustainability initiatives, international coffee and cacao supply chain activities, coffee quality improvement, and trade. She speaks fluent English, Italian, Swahili and Spanish. Asli Yaman holds an MBA from Istanbul Bilgi University, where her dissertation analyzed the international growth of Starbucks. She began her career in coffee more than 10 years ago as the Trainer and R&D Department Manager at a wholesale roaster and retailer John’s Coffee, a pioneer of specialty coffee in the birthplace of Turkish coffee. From 2011-2016, she was the Director of Production for Soyuz Coffee Roasting in Kaliningrad, Russia, then returned to Istanbul to found Kimma Coffee Roasters with business partner Hanife Ozyurt. Asli is the 2014 Turkish National Brewers Cup Champion, and achieved 3rd place at the World Brewers Cup Championship in Rimini, Italy. She is an AST for the Specialty Coffee Association, accredited to offer SCA certificate training in Introduction to Coffee, Green Coffee, Sensory Skills, Roasting and Brewing modules. Ms. Yaman is also an accredited Q Grader and volunteer education coordinator for SCA Turkey. Mr. Steiman holds MS and PhD degrees from the University of Hawai‘i in the field of Tropical Plant and Soil Sciences. He has researched various aspects of coffee science, including horticulture, biochemistry and sensory analysis. He is a co-owner of Daylight Mind Coffee in Kona, Hawaii and also the author of Hawaii coffee book and co-editor/author of, Coffee: A Comprehensive Guide to the Bean, the Beverage, and the Industry . Miguel is an independent coffee roasting and processing expert for Isla Custom Coffees based on the Island of Hawaii, and also partner/owner of Paradise Coffee Roasters of Minneapolis. While he was roastmaster at Hula Daddy Coffee of Kailua-Kona, Ken Davids of Coffee Review named him, “one of the coffee industry’s young visionaries.” He has overseen coffee processing to high standards in Hawaii, Jamaica, Panama, El Salvador, Brazil, India, Ethiopia, the Dominican Republic and Taiwan. Allen is a master roaster and the founder/partner of Momentum Coffee in Houston, Texas and instructor for Firedancer Coffee Consultants. Prior to relocating to Texas in 2015, Mr. Leibowitz was the founding partner of Zingerman’s Coffee Company, a nationally respected wholesale/retail roaster of specialty coffee in Ann Arbor, Michigan. Working with cafe owners and award-winning chefs, Allen has developed numerous proprietary coffee blends that reflect each customer’s or market’s stylistic preference. Mr. Leibowitz is a Past President of the SCA Roasters Guild, and a member of its executive committee. He has developed training customer training courses and regularly teaches classes on cupping, blending and all aspects of brewing. 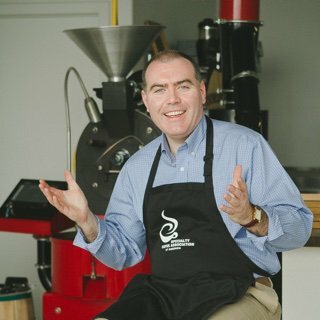 He is an accredited Instructor and Q Grader for the Coffee Quality Institute, Authorized SCA Trainer for the Specialty Coffee Association and a judge at Rainforest Alliance Cup For Quality.